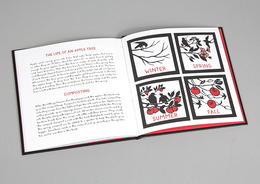 Apple follows the life of an apple throughout the year, demonstrating the cyclical patterns in nature. 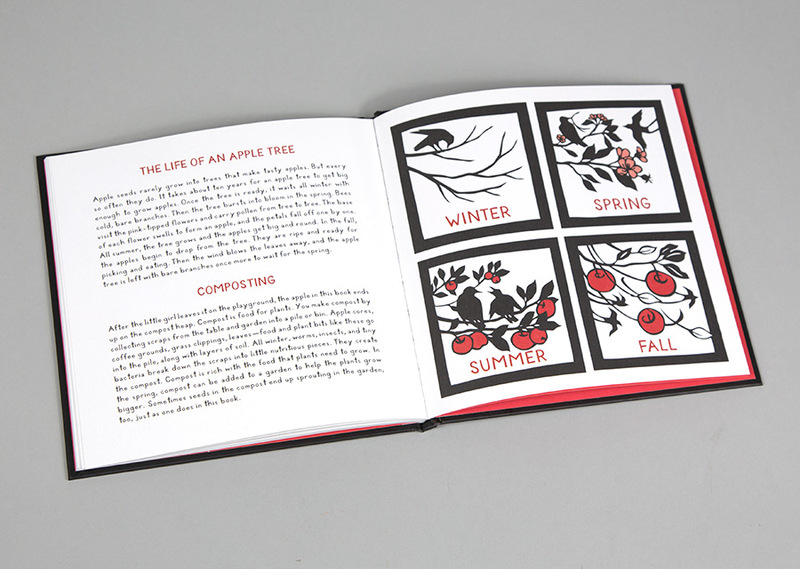 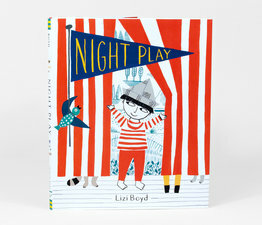 Readers will delight in following the journey of the bright red apple as it travels from tree, to harvest, to snack, to compost, and finally to sprout. 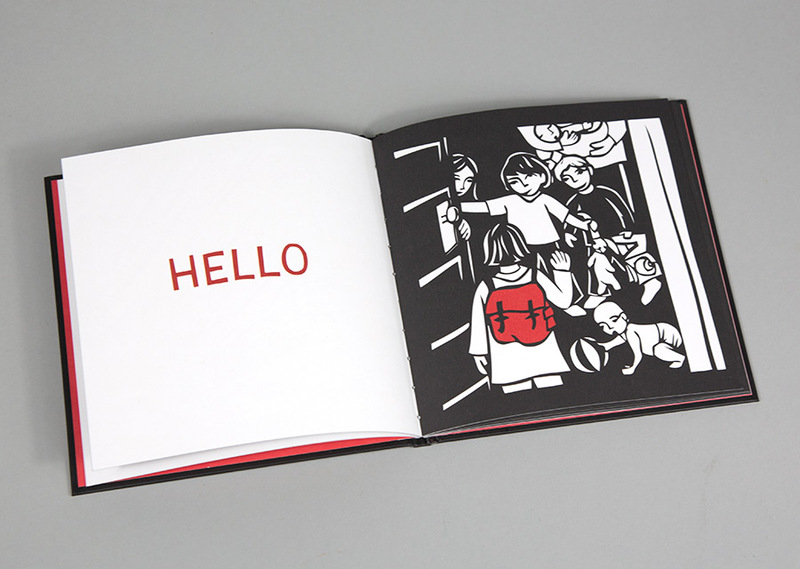 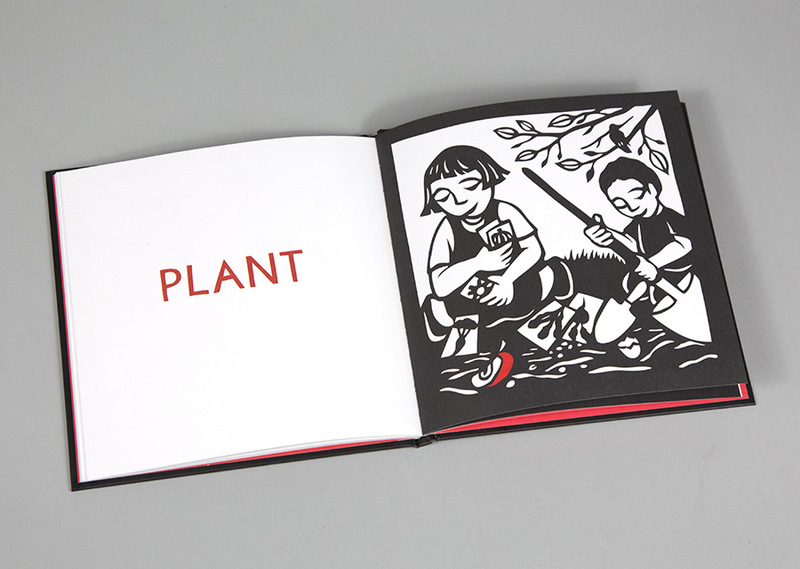 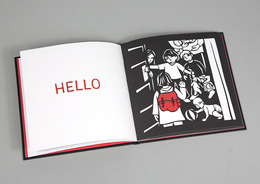 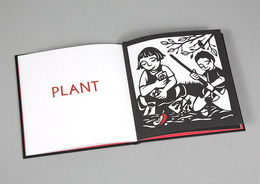 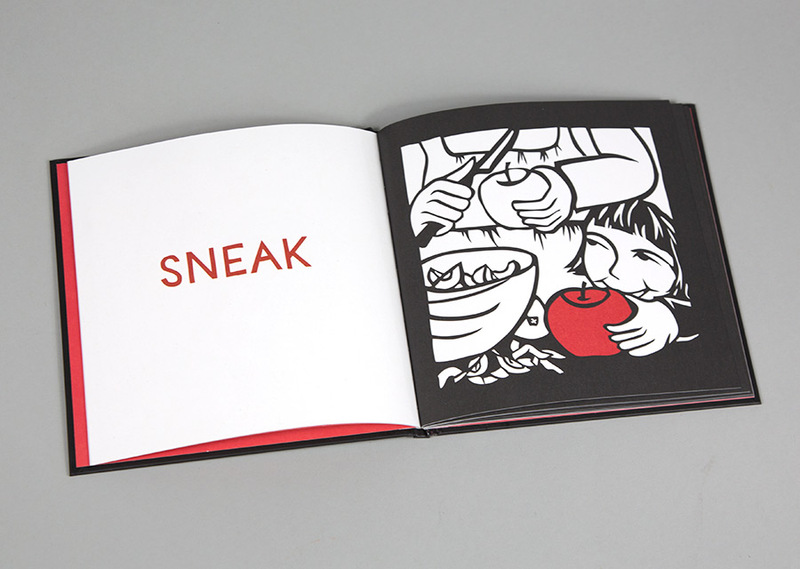 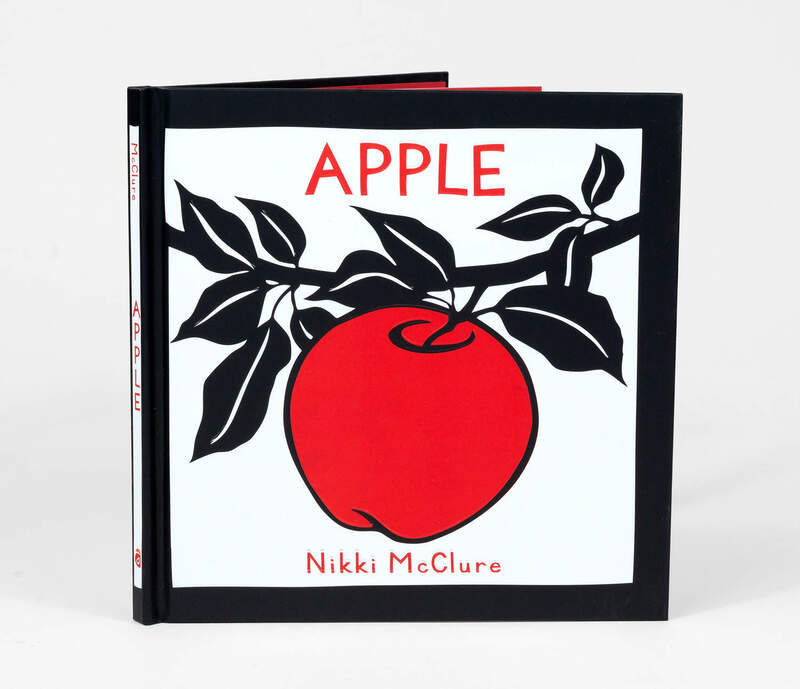 A single word complements each illustration, urging early readers to reflect on each stage in the apple’s life. 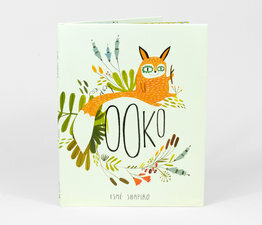 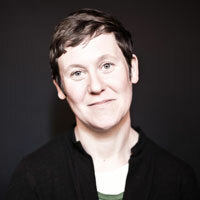 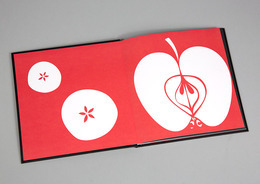 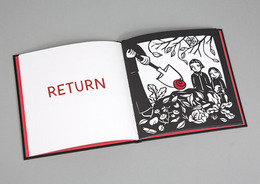 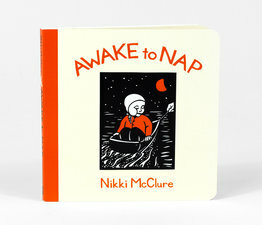 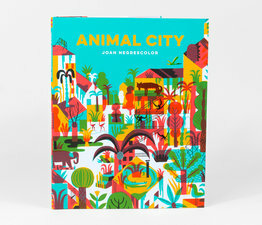 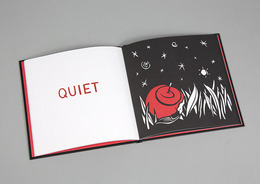 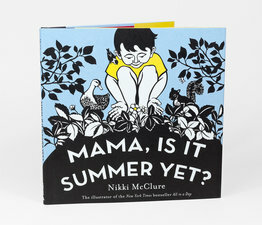 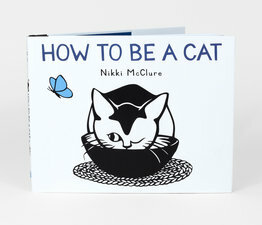 Apple is acclaimed cut-paper artist Nikki McClure’s very first book, originally self-published and sold exclusively at buyolympia in a limited edition of just 200 copies. 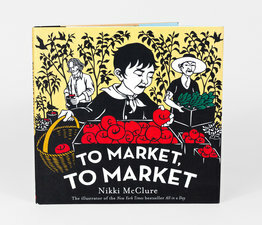 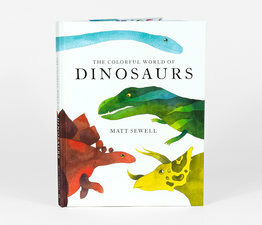 Now, 16 years later, it is available in wide release, and fans will relish the chance to own the book that launched McClure’s signature style.